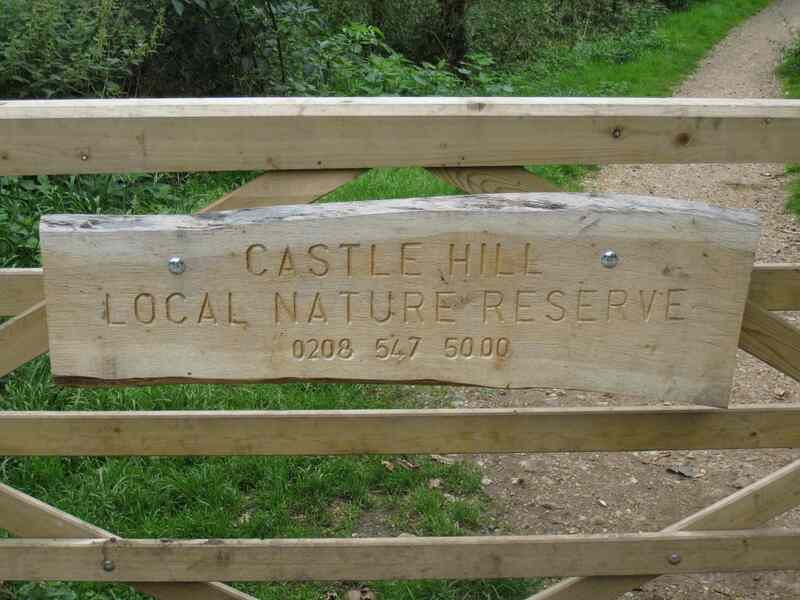 Following several improvements to access to this Local Nature Reserve and Scheduled Ancient Monument funded by grants received by the Trust over the last couple years, the Project has signed an agreement with English Heritage to carry out various tasks over the next three years, including coppicing, installation of an information board and path surfacing. In addition National Grid are planning to coppice under the pylons during February, which will be easier and cheaper to manage long term and will be more beneficial to wildlife than the previous management. In June 2011 the Trust funded the construction and installation of three bespoke welcome signs, with a grant from the Royal Borough of Kingston. The signs were installed at the three main access points to the site.